Quick-service restaurants (QSRs) face unique challenges when it comes to loss prevention. We caught up with Joe Verber, president of RLPSA (Restaurant Loss Prevention & Security Association) and senior manager of loss prevention at Yum! Brands for his expert insight on how LP professionals in the QSR space can address these challenges and where they can turn to for guidance and support. What are the biggest LP issues facing QSRs? Verber: Customer and team member safety continue to be the number one priority facing Loss Prevention Practitioners in all security industries. The safety and security of our employees and guests is our most important objective. How should QSRs approach security, and how should they assess the number of different security challenges they experience? Verber: QSRs should approach security through deeper crime analysis. Each individual Loss Prevention Department should assess security needs based on accurate and timely reporting. Crime prevention should be designed to mitigate specific losses targeted by careful analysis. What technologies are being used to combat those issues? Verber: Countermeasure design using security technology is always improving to harden targets. The technology chosen should apply to the prevention model desired. What are some of the unique challenges QSRs face from an LP perspective? Verber: No two businesses and restaurants are the same. Because they are different, each prevention design should be unique and apply to their specific prevention strategy. What are some of the industry trends you’re noticing, and what are some strategic plans QSRs can make to address those trends? 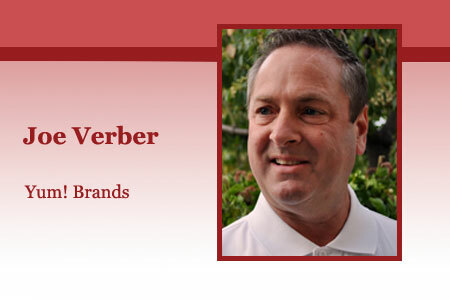 Verber: QSRs are open in more dayparts for longer hours. For example Taco Bell recently launched breakfast nationally, adding more employees who are visiting our restaurants earlier. Our commitment to their safety is our number one priority. How is the RPLSA assisting QSRs in their LP initiatives? Verber: RLPSA assists its QSR members through numerous services and activities. In general, we are a resource for members looking to gain information or knowledge to better perform their jobs and protect their employees, customers and company assets. We do this by providing an open source of communication and networking among the membership, where members can share ideas, practices, and solutions with other members. Companies can take advantage of the many resources, including industry surveys and white papers, as well as our popular member exchange program where members interact online with each other to provide assistance, recommendations, and solutions.